In West Gallery, the Art Guild of Pacifica’s group show titled Artistic License opens the door to any and all artworks, especially those that push the boundaries of expectation and convention, or that challenge assumptions. 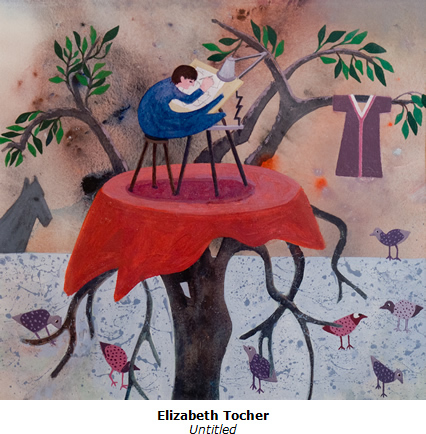 Elizabeth Tocher’s Untitled shown here perfectly exemplifies the spirit of this exhibition. Expect fun!